When it comes to space-saving furniture, Resource Furniture is the master. The New York City-based importers have become the go-to source for all things transforming. Plus, it doesn’t hurt that their collection is just plain cool. In a time when space is often limited -- particularly in urban areas -- the products that Resource Furniture offer are a perfect match for anyone looking to maximize the functionality of their home. Their most popular line of products are the wall beds, formerly known as “Murphy beds”. 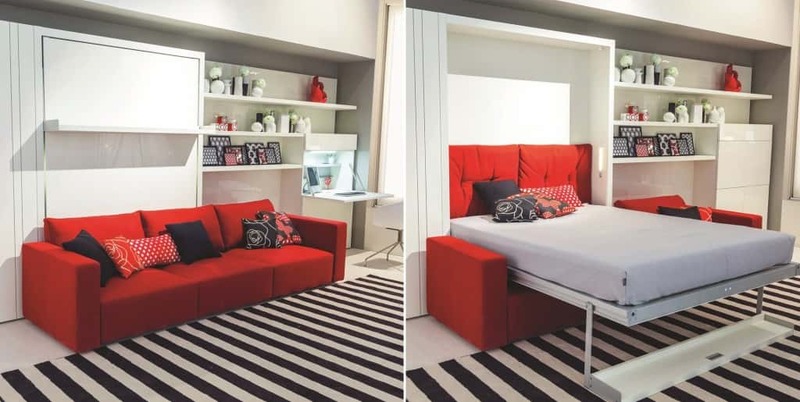 These wall beds come from a manufacturer in Italy called Clei, where they have spent half a century innovating and perfecting their numerous different wall bed designs. Need a comfy spot for your parents to sleep when they come to visit but don’t want to give up your TV room? No problem! 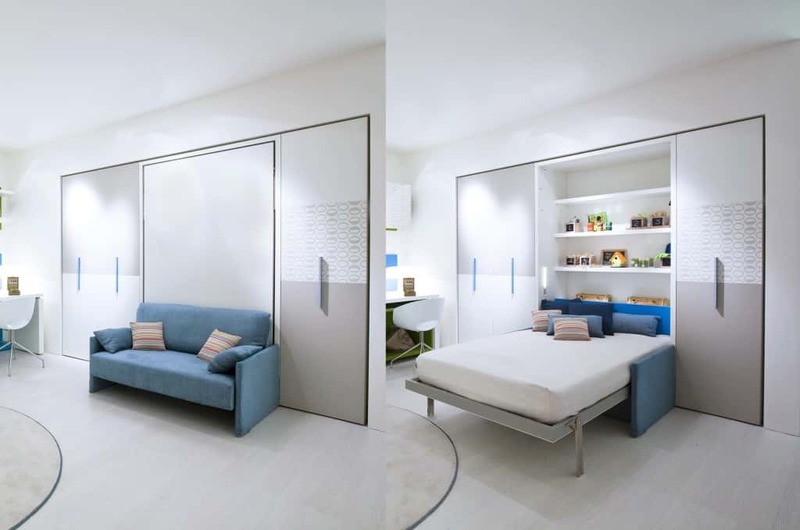 Resource Furniture offers a wall bed with a sofa attached to the front. Need extra space when you host the kids’ sleepovers? 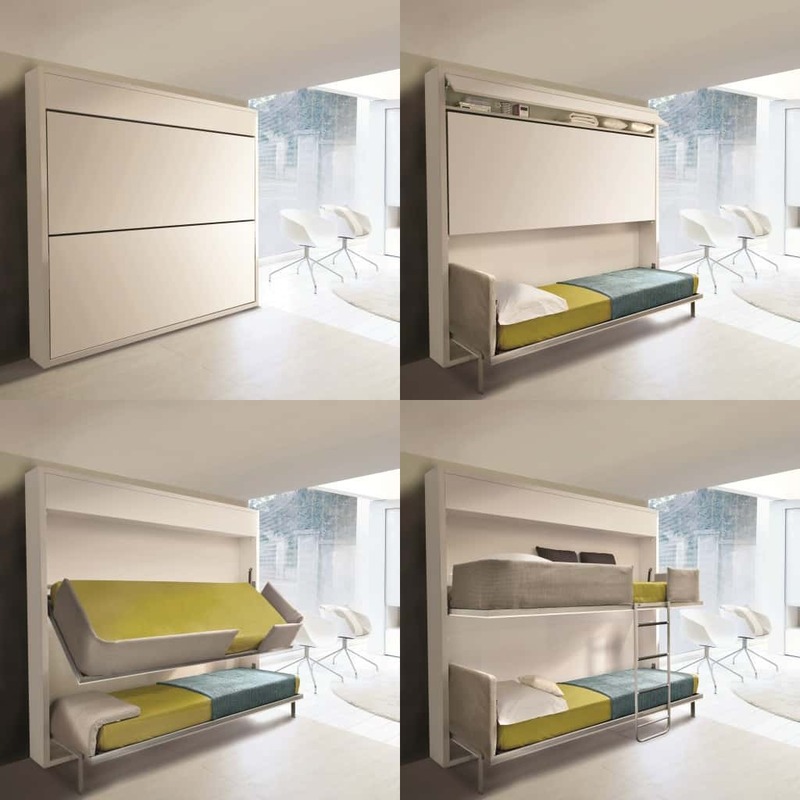 How does a bunk bed that folds into the wall sound to you? The innovative offerings don’t stop at wall beds. 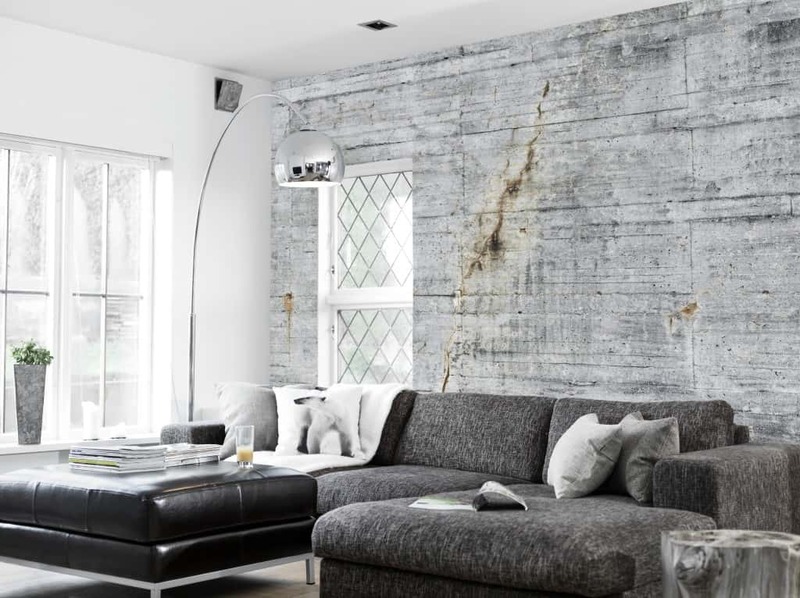 Resource Furniture also offers a photographic line of wall-coverings called ConcreteWall which come from real high-quality images of concrete, cinder block, brick, wood and graffiti. What is impressive about these designs is how authentic they appear. The image is never repeated and the texture is simulated to look just like the actual material. Anyone that lives in a smaller space knows that a full dining table is often a luxury. It doesn’t have to be that way! The Goliath expands from a console-sized table to seat up to 12 people. Last but certainly not least, the ”Transforming Micro-Apartment” video features a the 325 square foot transforming micro-apartment that Resource Furniture and Clei designed. It nicely demonstrates how functional, comfortable and spacious a small space can be if it is designed well. The micro-unit was part of a groundbreaking exhibition “Making Room: New Models for Housing New Yorkers” at the Museum of the City of New York with Citizens Housing & Planning Council.